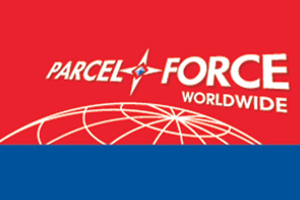 Parcelforce part of Royal Mail Group Ltd, alongside Royal Mail, and the Post Office, is the world's largest delivery network, covering more than 99.6% of the global population and reaching 239 different countries and territories. They needed an automated phone and web tracking and re-delivery service to free up agents and provide a more efficient service. Want to Improve Service and Free up Agents? Parcelforce Worldwide is showing how it's done, thanks to Eckoh. Watch the video or download the case study and you'll discover how it's possible to deliver innovation without any upfront capital expenditure. Eckoh provided Parcelforce Worldwide with an automated information line that allows customers to track parcels and change delivery arrangements by phone or web on a 24-hour, no-queue basis. The multi-channel solution has enhanced customer service, while freeing up agents to focus on more complex or higher value calls. Everyone benefits. Explore our Multi-Channel Self-Service solutions, which include Hosted IVR, Visual IVR, Natural Speech Recognition and other choices that enable your customers to engage with you in the ways they prefer, at any time of day. "It's a working relationship we now come to expect from all of our suppliers and not just Eckoh. As far as the return on investment and cost is concerned the service has paid for itself more times over."